From local deals to online deals, there are plenty of savings for everyone this week! If you are looking for local deals on home improvement services, cleaning services and home decor products, you may want to check out LivingSocial. This site offers deals on all sorts of items, but they recently launched LivingSocial Home. As a subscriber to their free emails, you will receive an email each Wednesday with home decor and service deals, as well as design tips – check it out! 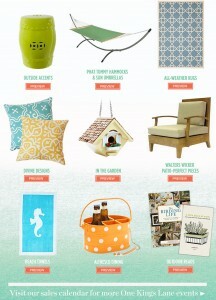 One Kings Lane is offering deals on everything you need for outdoor living this spring and summer! From outdoor accent pieces to beach towels, there are plenty of sales beginning today. 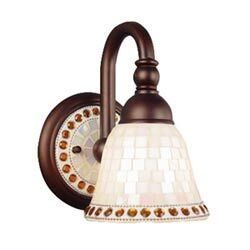 Be sure to check out Designer Living for their Daily Deal. Right now they have outdoor rugs, as well as a comforter set at very low prices. The deal changes daily, so check back often for the next items! Did you find a great deal on something for your home today? Share it here! Disclosure: Clicking on one or more of the links in this post may result in a commission for A Little Design Help, at no additional cost to you.